The Florida Department of Agriculture and Consumer Services (FDACS) Office of Energy is currently offering free energy evaluations and cost share funds to increase on-farm energy efficiency to agricultural producers in Florida. This includes all types of operations, such as row crop, fruit and vegetable farms, nurseries, livestock and poultry operations, dairies, and aquaculture farms. What is an energy evaluation and how is it done? The purpose of the free evaluations (which are valued at $4,500) is to let producers know how they can maximize energy efficiency and ultimately reduce costs on-farm. During these evaluations, members of a Mobile Energy Lab (MEL) walk through the operation with the producer, evaluating all forms of energy use. Since energy use is often linked to water use (irrigation pivots, for example), the team also assesses water use. MEL teams are made up of energy experts contracted by FDACS from one of three universities: Florida A&M University, the University of Central Florida and the University of Florida. The MEL will be made up of members from the university closest to the farming operation being evaluated. After the MEL team has finished the on-site visit, it prepares an evaluation and sends it to the producer. The evaluation details energy use and makes recommendations about how to increase efficiency on-farm. These recommendations depend on the operation and what the farmer is interested in doing. They can include switching to more efficient lighting, converting irrigation pumps from diesel to electric, using variable frequency drives (VFDs) on milk vacuum pumps in dairy operations and switching to or adding small-scale renewable energy generation, like solar or biomass, among others. After a producer decides on changes she or he would like to make, FDACS offers 80% reimbursement (or cost-share) up to $25,000 to implement recommendations made in the evaluation. An additional advantage of having a free energy evaluation completed by the MEL is that the evaluation can be used to apply for cost share funds from the USDA-Natural Resources Conservation Service (NRCS) Environmental Quality Incentives Program (EQIP). Producers could potentially receive cost share dollars from both FDACS and NRCS to increase on-farm energy efficiency. What is the timeframe for applying for energy evaluations and cost share funds? 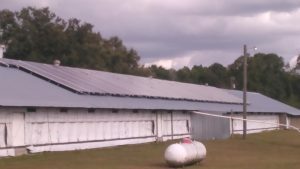 FDACS offers statewide evaluations and cost share through their FRED Program (Farm Renewable and Efficiency Demonstration). These funds are set to expire September 2018, and so any items or equipment obtained with cost share funds must be purchased and installed by September 2018. To have enough time to apply for and receive an energy evaluation (which is the first step to obtaining cost share funds), applications for evaluations must be turned in to FDACS by February 1, 2018. The good news is that a similar program will continue after September. However, it will be in a more geographically restricted area. 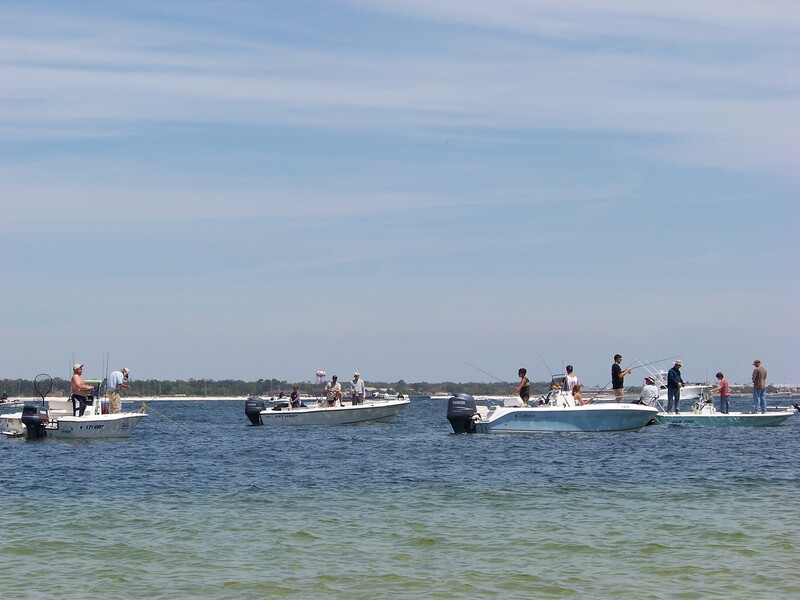 The Office of Energy received BP RESTORE funds to continue funding energy evaluations and cost share in the Apalachicola and Suwannee River Basins. 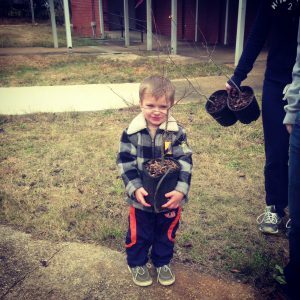 These funds will be available starting this spring. The office hopes to secure more RESTORE funds in the future to expand the geographic reach of the program. Who is eligible for energy evaluations and cost share funds? Have control of the land for the term of the proposed contract period. Be in compliance with the highly erodible land and wetland conservation provisions described in 7 CFR (Code of Federal Regulations) Part 12. Have an interest in the agricultural operation as defined in 7 CFR Part 1400. If you have any questions about these requirements, please contact Takara Waller at the Office of Energy (contact information listed below). How do you apply for an energy evaluation? Your local USDA Farm Services Agency can also provide more information about cost share programs related to energy. Contact information by county is found by selecting (or clicking on) the county of interest on the following map https://offices.sc.egov.usda.gov/locator/app?service=page/CountyMap&state=FL&stateName=Florida&stateCode=12. Remember: an energy evaluation is the first step in obtaining cost share funds to increase on-farm energy efficiency and savings. 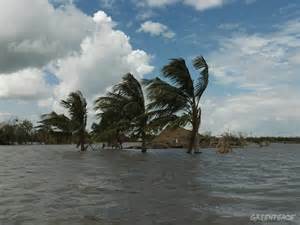 Climate change is one of those topics that most people don’t want to think much about. It can be overwhelming, it can be controversial, and it can be downright frightening. A year ago, Yale and George Mason University completed the most recent surveys in the “Six Americas” study, which determined levels of belief and concern in global warming. The “Six Americas” range from people who are alarmed, concerned, cautious, disengaged, doubtful, or dismissive when asked about climate change. Interestingly enough, 34% of Americans consider themselves concerned while 23% were cautious. Ranking third were 11% who are doubtful about climate change. When you start to drill down into the individual questions asked on the survey, you see more agreement. 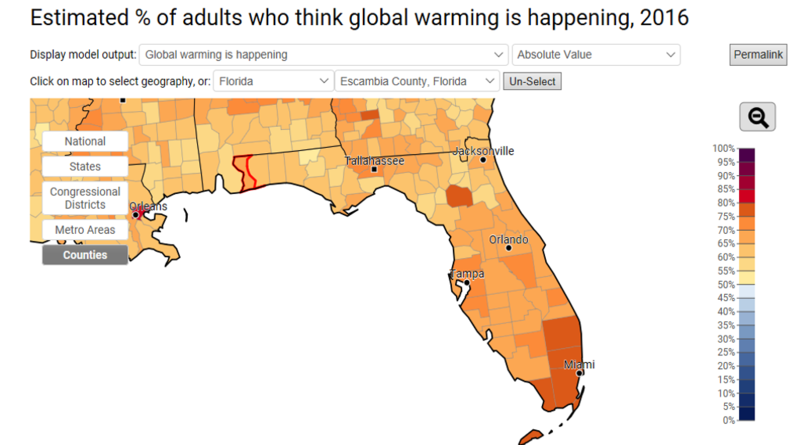 For example, when Escambia County citizens were asked whether global warming is caused by human activities, somewhere between 45%-50% said yes. However, when asked whether they think global warming is actually happening (regardless of cause), the percentage went up to 65%-70%. When asked if they support funding research into renewable energy sources, Escambia County residents jumped up to an 80%-85% agreement. That, to me, is nothing short of a miracle, having lived in Escambia County long enough to know there’s rarely that much agreement on anything! The takeaway message from that survey, to me, is that regardless of where people stand on climate change/global warming, there are some starting points that can be common ground. If the majority of a community believe climate change is happening and that supporting renewable energy research is a good thing, then they can work towards those outcomes to the mutual benefit of all. An example of one small but significant step towards sustainable energy use includes bicycle share/rental facilities. 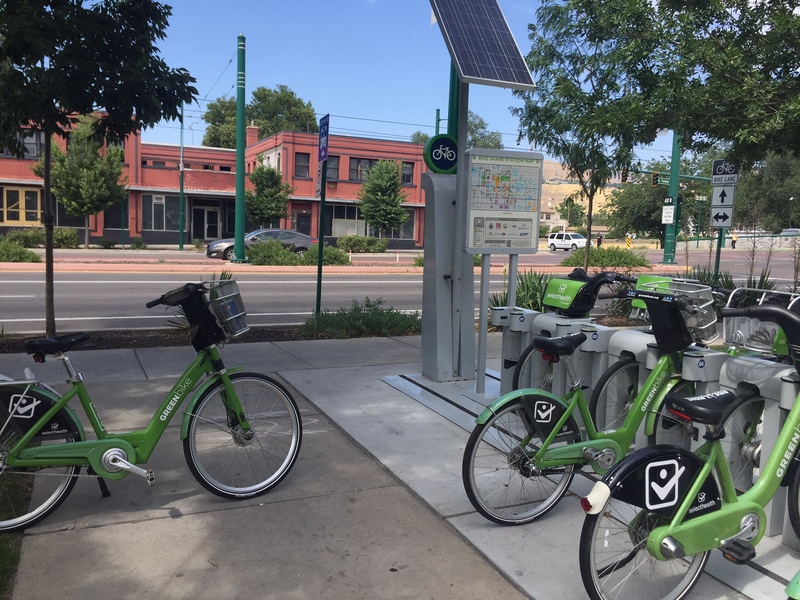 On a recent trip to Salt Lake City, solar-powered bike stations were strategically placed around the downtown area. For a small fee, the bicycles could be checked out (for 30 minutes at a time) up to 24 hours. 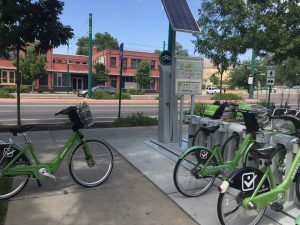 This ensures there are plenty of bicycles available for other users, and stations are close enough to one another that it’s easy to check bikes in and out if you need more time. The benefits of encouraging bicycles are numerous; reduced traffic and burning of fossil fuels, reduced need for parking in high-value real estate, and health benefits for riders. The other investment necessary to make biking more prevalent and successful are bike lanes, which were plentiful in Salt Lake City to keep riders and drivers safe. Once safe bike lanes are in place, those who live in the area with their own bikes are more likely to use them on a regular basis, further decreasing vehicular traffic. There are many great organizations and publications around the country dedicated to increasing bicycle use and safety. For more information, check out Trail Link, Momentum Magazine, or the Burlington Bikeway. I know you’ve seen the rear window decals that announce in stick figures just who could be riding in that SUV – mom, dad, kids of various sizes, and sometimes pets. A clever Florida variation uses big and little flip-flops and paw prints to paint the same picture. Flip-flops on the beach = footprints in the sand = carbon footprints on the Earth – at least, that’s how my mind processes this voluntary family accounting, posted for all to see. I wonder if I’m the only driver out there who studies a family’s flip-flop line-up at the stop light, and ponders our human family’s footprint on Earth’s climate and other natural resources. My mind can imagine the line-up of flop-flops as belonging just to me. The two big pairs (representing mom and dad on the rear glass) evoke the four big lifestyle footprints I leave on this Earth. My lifestyle footprints are made by what I eat and how it was produced, the way I commute and travel, the buildings in which I live and work, and by what I wear and how it was made. Lifestyle footprints left on Earth’s resources are the water and energy I consume directly and indirectly, plus greenhouse gas emissions and wastes with my name on them. Wouldn’t it be great if we could shrink the size and impact of one of those pairs of big flip-flops with an integrated solution, a twofer – reducing two of our lifestyle footprints by linking them together? There is an opportunity to do just that by combining solar PV (solar photovoltaics, better known as solar panels) with EVs (electric vehicles), to achieve an integrated reduction in the energy and carbon footprints of the two together. This opportunity is available to families for home application, and to agencies/ businesses for work application. It’s particularly exciting to envision the prospect of reducing commercial/ institutional CO2 footprints by combining net-metered solar PV on zero-net office buildings and warehouses, with EV’s for business errands and local deliveries. Here’s some insight into how this might work. The office building in which I work is an award-winning, energy-exporting “Sustainable Demonstration Center” for Leon County government. It’s the UF IFAS Extension Center in Leon County, on Paul Russell Road. 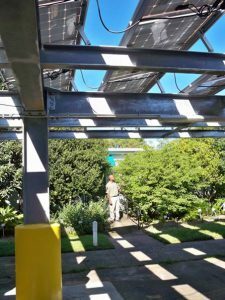 Constructed in 1961 and retrofitted with solar PV and geothermal HVAC in 2012, it was certified in 2014 by the New Buildings Institute as the third commercial/ institutional “zero-net energy” building in Florida. It has a grid-tied, net-metered system. In the 4¾ years since our facility’s solar PV and geothermal energy systems went on-line in March 2012, thermostats in this County government building have been managed to obtain even greater energy conservation than was envisioned when planning the retrofit. 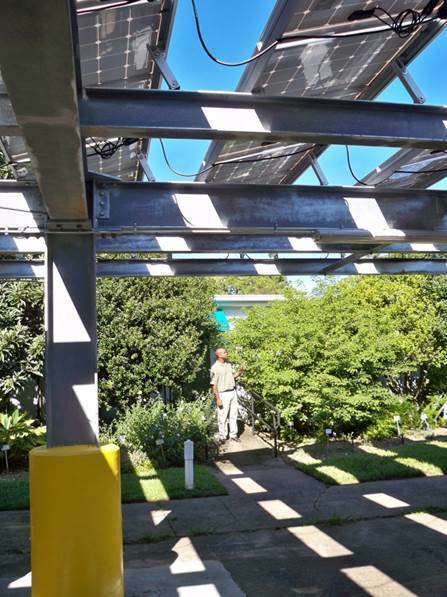 As a result, our facility has exported a continually growing net surplus of energy to the City of Tallahassee Utilities grid – over and above covering its own energy needs. The amount of surplus energy donated since just August 2014 stands at 24,400 kWh. 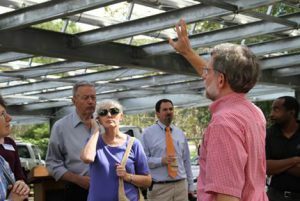 Visitors learn about the solar PV system from Extension Agent Will Sheftall. To put this amount of energy into context, let’s consider what mechanical work 24,400 kWh of electrical energy can do. Here’s where the other half of the twofer opportunity comes in. 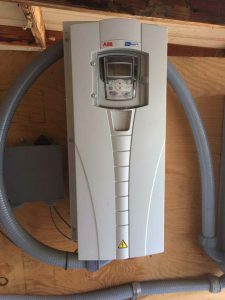 On an accessible battery charge of 10.5 kWh, an extended range electric vehicle (EV) such as the Chevrolet Volt goes a summer/ winter average of 40 miles on stored battery power alone. 24,400 kWh would provide the equivalent of 2324 EV charges at 10.5 kWh per charge. That’s enough stored battery power for 92,960 electric miles! Forget about this surplus from the past for a moment. Let’s compute the repeating annual surplus of clean solar energy produced by our PV array, and apply that to the opportunity for integrating building and travel footprints at Leon Extension. If we compute that our solar PV system has produced – over the past 2.3 years – an annual energy surplus equivalent to 997 EV charges per year, and if we project that Extension Agents could utilize County vehicles to travel 40 miles every work day for 245 work days/year, then we find there would be enough surplus energy produced every year to fully charge a fleet of four EVs at 10.5 kWh per charge/day, for use on the job every single work day. This is exciting stuff! With more auto manufacturers offering new EV models with longer ranges and lower prices – and with extension through 2019 of the 30% federal tax credit for residential solar and the 30% federal Business Energy Investment Tax Credit (ITC) for business solar, the future of PV + EV looks bright. Perhaps this rosy outlook will encourage government offices and businesses around town to shrink those two big flip-flops down in size with a twofer, and ‘Leave a Lower Carbon Footprint Trace’ on the Earth. I don’t know about you, but my kids have a lot of “stuff.” Legos on my son’s floor, stuffed animals surrounding my daughter’s room—it’s a lot to keep up with. Granted, they have never thrown away a Lego brick or stuffed animal, so they’re not contributing to the landfill (only my lack of sanity), and they have used these gifts for many years. When they outgrow them, we will donate their toys to another family or thrift shop. 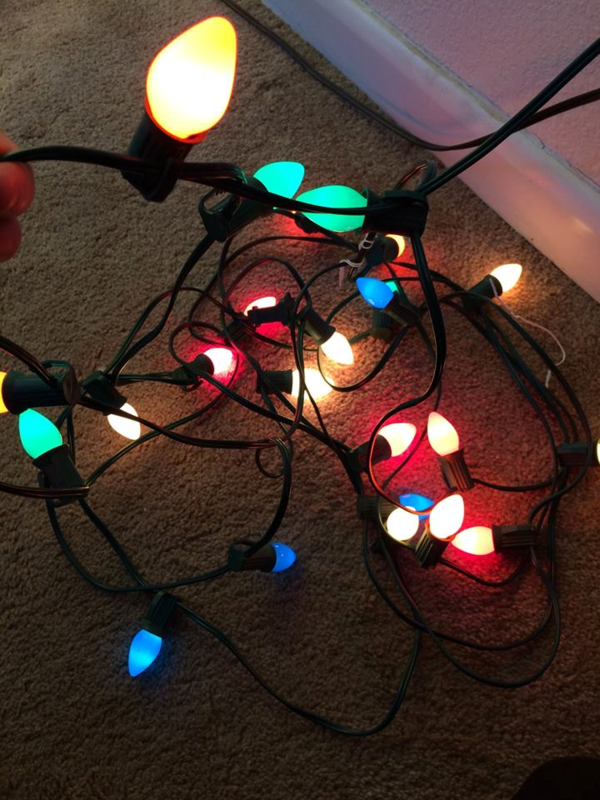 However, as a group, we Americans generate 25% more waste during the holidays (between Thanksgiving and New Year’s), the equivalent of about 1 million extra tons of garbage. 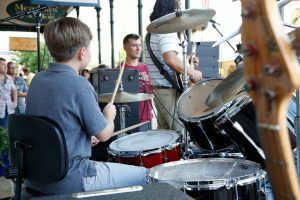 As I, and my children, have gotten older, it’s been more important to me to give the gift of experiences, or at least something that they can use for a long time. Tickets to a concert or sports event, music lessons, or a trip to someplace new will result in lifelong memories and skills without the packaging waste or clutter in the house. Passing on an antique piece of jewelry or their grandfather’s tool set can be inexpensive for you but priceless for the recipient. Last year my kids’ great-aunt gifted them with honeybees for a family from Heifer International, and it was an amazing opportunity to discuss selfless giving and the needs of others. Many folks would love to receive a donation in their name to their favorite charity as a gift. When it comes down to it, though, giving tangible gifts is often expected, wanted, or even needed. So how can we do this without contributing to 2017’s landfill? First, look at packaging. Many companies are trying to consciously reduce the amount of plastic, paper, and space used to ship and package their items. If you do get lots of extra packaging, be sure to recycle it. I’m a huge believer in reusable gift bags—I’ve been passing some back and forth to family members for years—and some gifts can be given in a useful container, such as a wooden bowl, a platter, or reusable cloth bags. Other gift ideas include clothing (I got a shirt last year made from recycled water bottles) and toys made from recycled materials. Plants, whether houseplants or a tree for the yard, make for long-lasting, beautiful gifts, and consumables like homemade food are meaningful and inexpensive. Finally, consider the companies producing the gifts you give. Forbes’ list of the 50 Most Sustainable Companies highlights corporations that are making a concerted effort to reduce energy and water use. This can make a big difference when you consider the worldwide reach and influence of companies like Adidas (#5) or Coca-Cola (#13). We at UF IFAS Extension wish you all a wonderful, memorable, and safe holiday season. This time of year can be overwhelming, though, so if you need help managing stress, check out this publication from our Family, Youth, and Consumer Sciences department! 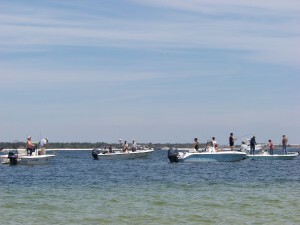 Boating is a very popular activity in the sunshine state. The emissions from burning oil have added compounds to our atmosphere that have contributed to human health issues and have changed the climate. As the human population grew the demand for this energy source grew, and the problems grew as well. One of the first steps made by the governments and the industry to curb the problems was the removal of lead from gasoline. At first this was problematic because many of the internal combustion engines that ran on gasoline did not run efficiently on unleaded and a back-lash occurred. Service stations offered both leaded and unleaded at the pump and motorist could choose. The car industry followed by developing engines that ran on unleaded only and eventually leaded gasoline was no longer offered. Since the phase out the blood lead level has dropped from 88% of children in the United States to 1% in 2006 (www.worstpolluted.org). The next issue was the amount of oil. Though many text list fossil fuels as a renewable energy, it takes millions of years to renew it – so in the time frame we think of it is basically a non-renewable resource. With a finite amount of oil available the industry began looking for new sources of oil and encouraging the public to conserve their use. The government answered this by requiring the car industry to produce fuel efficient automobiles, which they have. My original truck got between 8-12 mpg, today’s trucks can get over 20 mpg. Smaller, more efficient engines that burn unleaded gasoline have certainly improved some of the problems. 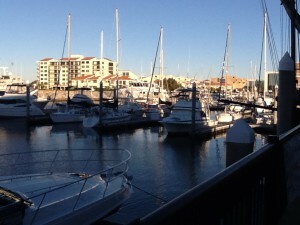 One of many marinas in Florida where boats fuel. However the population continues to grow. I remember just a few years ago everyone was amazed when we hit 6 billion humans, we are now at 7.2 billion and the clock moves quickly (http://www.census.gov/popclock/) . The largest growth has been in China and India. Both of these nations have experienced huge increases in their economy and quality of life. As their economic status improved their demand for energy increased and concerns about the amount oil demand increased. With the somewhat finite amount of oil, and the compounds that are still part of the emissions. Many became concerned about what would happen with growth in that part of the world. One answer to both emissions and amount was to begin searching for alternative fuels. Biofuels was one option. These fuels can be generated from plant material, which can produce ethanol. There are certainly some problems with growing corn for fuel instead of food but this is one option that the industry began to explore. Just as the original engines had problems with unleaded fuel, today’s engines have problems with ethanol. The engines that power the Indy and Formula 1 race cars do use biofuels but who can afford a Formula 1 engine? The industry’s response was to blend ethanol into the existing unleaded gasoline and offer this. The hope was that the global amount of gasoline could be conserved using this method. The original fuel was 10% ethanol and was called E-10 fuel. As expected problems occurred. Though the engine ran pretty efficiently if the fuel was used in a relatively quick period of time, and not allowed to sit within the tank and fuel lines, the ethanol began to degrade parts. Pieces of rubber and plastic blocked fuel lines causing all sorts of problems. I personally experienced this issue with my outboard motor. 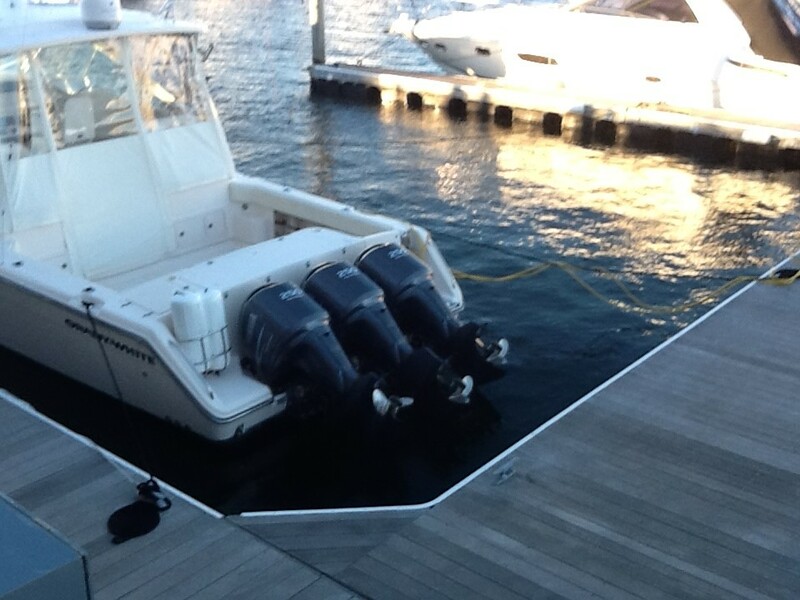 The outboard industry responded by developing more E-10 friendly engines and additives you can use if your fuel will be sitting in the tank for long periods of time. It is currently recommended that if you are not going to use your lawnmower or outboard over winter that you fill the tank for storage. Ethanol breaks down and water is produced. With a full tank there will be less water accumulation over time. Now comes E-15. Yep… E-15, 15% ethanol. Though this move will eventually improve some of the problems with using oil there will be, as there have been, some growing pains. IT IS NOT RECOMMENDED THAT OUTBOARD MOTORS, LAWN CARE MOTORS, OR ANY OTHER SMALL ENGINE, use this E-15 fuel. It is currently being offered at service stations but in many cases is NOT clearly marked. All boaters, lawn care operators, and anyone else who uses small engines should check the gas pump labels carefully before fueling.